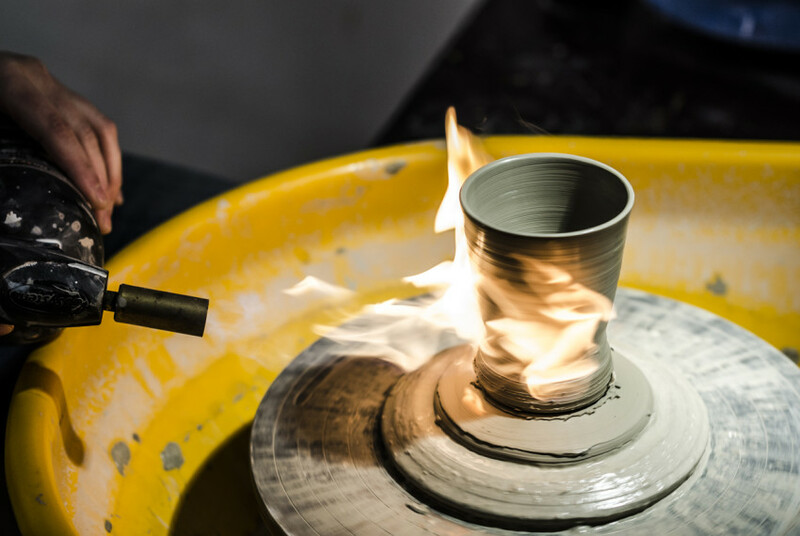 We employ a range of techniques to produce our simple, functional ware, always looking for new and interesting types of clay and glaze combinations. There are up to four resident makers working with clay, glass, and wood. We offer a busy programme of pottery classes suitable for all levels, taking place throughout the week, as well as one-off events, and master classes - all promoted on our website www.mudstation.co.uk and Facebook page. There is a friendly atmosphere; we welcome visitors whether you are looking for something to buy, want to talk pots or join in a class, or just see what's going on. We're dog-friendly, child-friendly, just friendly... come and see us.